Wrecking Ball’s Kendra Kazmaier made XFO history Saturday night when she became the first-ever female to concurrently hold titles in two divisions. 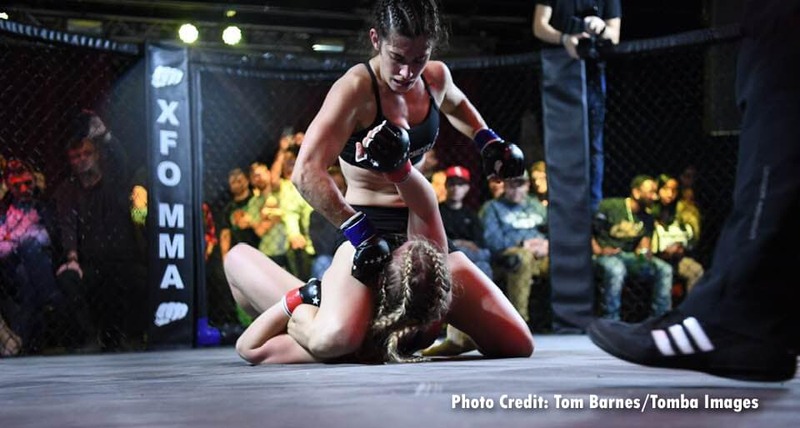 UFC Gym’s Kim Bulow couldn’t answer the bell after a raucous three rounds in the main event, giving Kazmaier a TKO victory and the XFO bantamweight title. She won the XFO flyweight belt in August at the annual XFO Outdoor War. So how does it feel to make history and win two titles in the span of just over two months? With two titles to defend on her back Kazmaier will have plenty of fight options in 2019. There is no plan in place yet for which title she will defend first. Here’s video of the Kazmaier vs. Bulow fight, and full results are below.